Every other year, Lexington Kentucky welcomes the North American Model Horse Showers Association and the North American Nationals to downtown Lexington for three days of competition. To attend the North American Nationals, or NAN, attendees work for two years to qualify their horses at local shows by winning a first or second place at a qualified show.Shows around the nation must qualify to be a member of NAMHSA and are then permitted to award NAN cards for admission to NAN, which are valid for two years. In odd numbered years, NAN floats around the United States; in 2011 it will be in Tucson, Arizona. 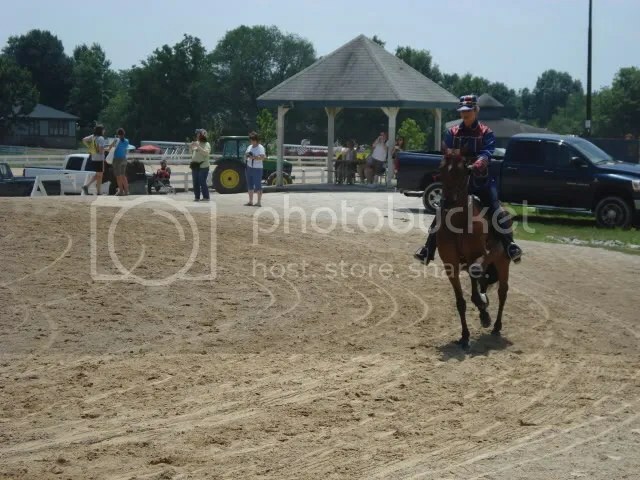 The 2010 North American Nationals brought together thousands of horses from all over the country and world for three days full of competition. Creativity took center stage with some of the most amazing performance setups I have ever seen! From English to Western and everything in between the level of competition was beyond what is even fathomable! Custom and Artist resin classes were absolutely awe inspiring for the artist or art appreciator alike. The most beautiful customs and artist resins could be seen in one place which was an amazing feat on its own. All levels of customs were on view, anything from original sculptures to minor customs were featured and appreciated by all. Repaints of all mediums were also on display showing the variety that lives in our hobby. In the Original Finish ring there were makes and models that would make just about anyone faint with envy. 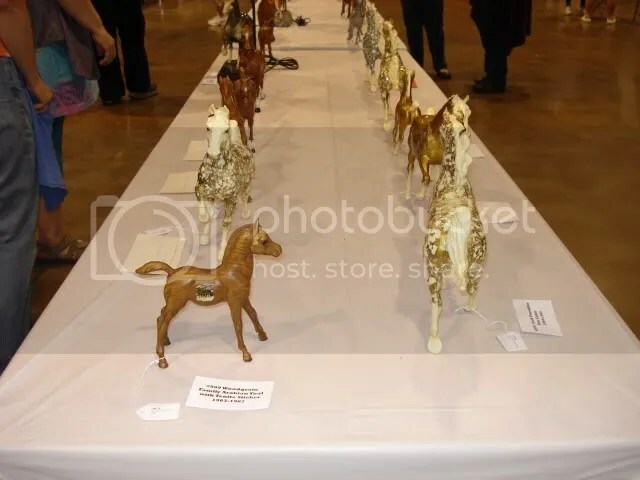 I was honored to judge Original Finish Breyer Collectibilty and can honestly say I’ve never seen so many exceptionally amazing horses in one place. Horses only read about that live in myth and legend took center stage and top honors! The North American Nationals may have come and gone, but this year will not go down without amazing memories for all involved. With an extreme level of competition as well as a wonderful sense of good sportsmanship and excellent entries, this year will be remembered for many to come. Special thanks goes out to the North American Nationals Committee for making this year something to remember. If you’d like to start getting your horses ready for 2011 or 2012 come on out to Golden Oak Stable’s New England Fall Live in October; we are pending NAN qualification and hope to send you home with that famous “Golden” ticket! Breyerfest 2010 has come and gone in a fascinating whirlwind of glamour, celebrity and horses. The three day festival was the 21st anniversary and All Glory was the star. Honored with the title of “Celebration Horse Of The Year”, All Glory is a bay Standardbred gelding owned by the fantastic William and Elizabeth Shatner. William Shatner is well known for his acting career but has a long history with horses! William and Elizabeth own a 360 acre farm outside of Versailles, Kentucky by the name of Belle Reve. The ranch is home to many championship Saddlebreds and Standardbreds. All Glory is a championship Standardbred shown by both Elizabeth and William that has achieved a large amount of success in the past 8 years, including twelve world championships! This striking bay gelding was welcomed into Lexington, Kentucky in grand style this weekend at the Kentucky Horse Park. Breyer picked All Glory as the guest of honor for Breyerfest 2010 which includes having a model made in the likeness of him. The Shatners chose the Rejoice mold as the portrait mold for their prized gelding which was given a bit of a makeover to create the most realistic model possible. Elizabeth Shatner was the guest of honor greeting hundreds of welcoming Breyer and All Glory Fans. Performing and signing autographs, Elizabeth met adoring fans with a smile and an autograph for all. All Glory was a star performing his iconic disciplines for attendees and wowing the whole crowd! 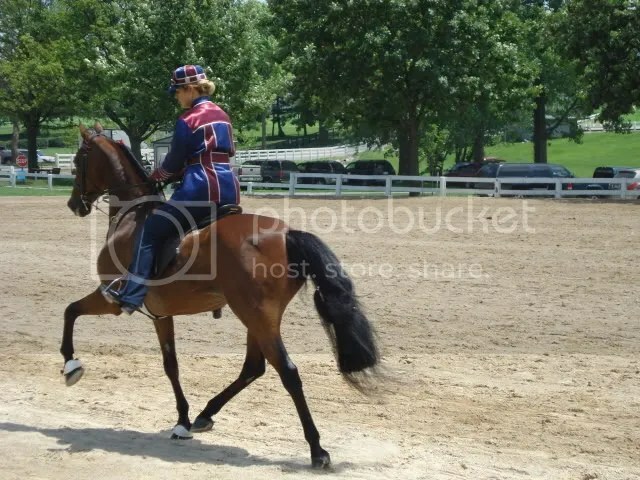 Beautiful and powerful, All Glory is the epitome of the versatile Standardbred breed. Breyerfest 2010 may be done and in the books, but All Glory and the Shatners were guests of honor that will not soon be forgotten. With grace and style, they are everything wonderful that we know and love about both the model and real horse community! Stay tuned to Stable News and Golden Oak Stables for more Breyerfest coverage to come! Breyer Horse Events: Breyerfest Here We Come! 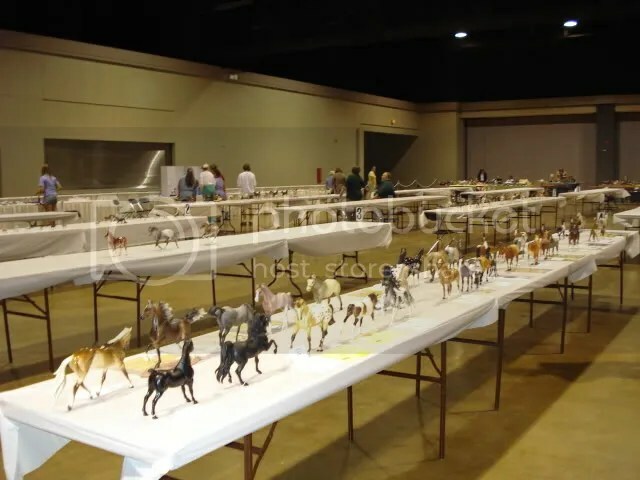 You’ve marked your calendar and saved your pennies; for many this coming week week marks the biggest week in the model horse hobby: Breyerfest and the North American Nationals! These two events roll into Lexington Kentucky starting Tuesday, July 20th and last until Sunday July 25th! Lexington has long been the horse capital of the United States and Breyerfest has called it home for over twenty years! The North American Nationals, or NAN, calls Lexington home every other year. 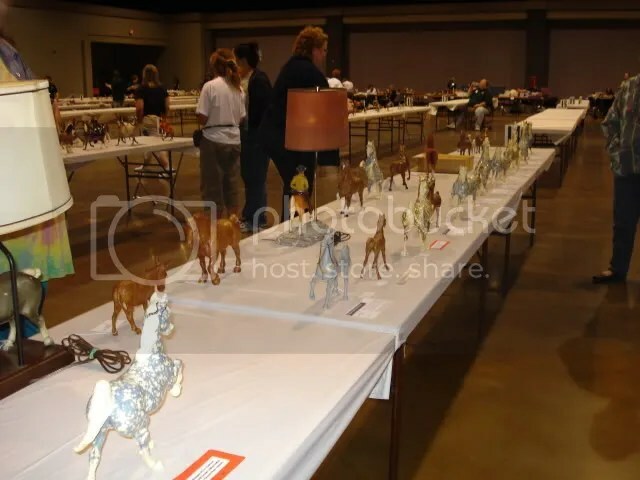 NAN is the pinnacle of model horse showing where competitors from all over the country and world come to show their very best models. 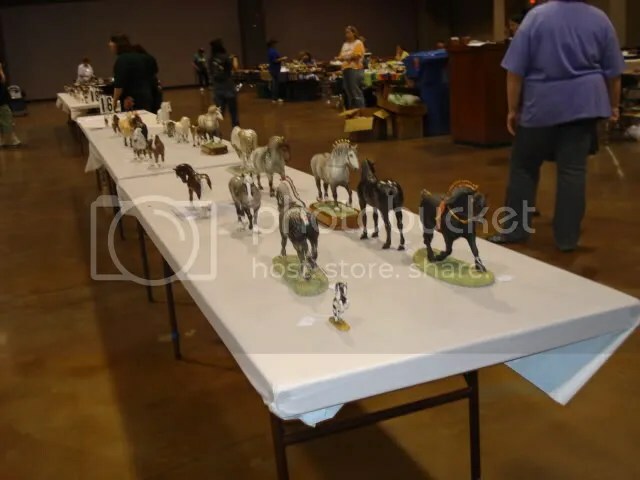 A full three days long, NAN will welcome hundreds of entrants and thousands of horses for what is considered to be the ultimate model horse show. Many work all year long to qualify their models and travel thousands of miles to make their way to Lexington for the North American Nationals, no small feat! The North American Nationals is topped off with an auction on Thursday night which will include a party this year to celebrate the 15th anniversary of the North American Nationals! Breyerfest is of course the event of the year for any Breyer collector, 3 days packed to the brim with everything there is to love about Breyers, this event is one that one must experience at least once. Thousands upon thousands travel from all over the world to experience Breyerfest at the Kentucky Horse Park,which has welcomed Breyerfest for 21 years now. This year welcomes a celebrity theme with famous guests Elizabeth Shatner and Priscilla Presley! There are also famous horses that will be in attendance, from Radar the world’s largest horse to O’Leary’s Irish Diamond, a famous Irish Draught horse! I have the privilege of attending the North American Nationals as well as Breyerfest next week, and will be bringing you all of the news and events from the model horse capital of America! So stay tuned to Stable News and Golden Oak Stables, I’ll be back on Monday July 26th with all of the info you need to know! Keeping Your Breyer Horse Collection Under Control! Collections are meant to grow, that is one of the many reasons collectors collect: to amass a collection! Without proper care a collection can quickly grow out of control, which can become a problem not only for sanity’s sake but also for the sake of keeping your collection safe. There are literally thousands of different Breyer horses; collecting even a portion of them can be quite the accomplishment. But collecting Breyers isn’t the hard part; keeping track of them is. In my personal collection I have somewhere between 1500-1700 horses, in here lies the problem. Learn from my example, and take the time to begin organization early. I began my organization process when my collection was not only well into the quadruple digits but also was in two locations hundreds of miles apart. You see, having a record of what you have can benefit you in countless ways. The most important is that in the case of an emergency or loss of your collection you have a record of what you have. Emergencies happen and in the case of one an inventory or photographic evidence can help ease the pain of loosing something so dear. An inventory can also help save you money too. Knowing which models you already have will help so that you don’t purchase a horse which you’ve already bought. Collections that number large in size can grow out of hand easily and horses often get forgotten, especially if has been a long period of time since that purchase. If you do choose to do an inventory you should include not only the name of the model, but also record where, when and how much you paid for your model. This helps in many ways; first of all, recording the price will help you learn how your collection grows in value. Recording when and where you purchase is great provenance for the future, especially for rare or hard to find models. Should you ever sell a horse you may be asked who the previous owner was to authenticate it, especially with rare and hard to find models. It also is just a great idea to keep track of this so that you can remember how you got them! So start a list today of your models and don’t wait until they are out of control. So the next time you order a new horse from Golden Oak Stables, make a note of it, and protect your collection today! I received a question from a Golden Oak Stables’ shower asking for specifics about how a judge picks a winner when there is a large number of horses in the class as well as multiples of the same model. This is a very common question and its also a bit difficult to explain but here’s how I pick my winners! Now the Idocus number is probably the one that’s going to stand out most. Seven of the same model, how on earth are you going to pick the best one? Well there are ten places for this class and there are guidelines for what a judge looks for in a breed class. 1.Correctness of anatomy, biomechanics, conformation. 2.Breed standards including color that represents current (or historic with documentation) standards. 3.Overall appearance, finish, condition, workmanship. So the first thing we will be looking for is the mold that is the most correct in the ways of confirmation. Some models are flawed from the start and do not have the best confirmation and anatomy. Models like the Classic Keen and Classic Jet Run are running behind already, they don’t have the best confirmation and are a little awkward so right now they are thrown out of the running. Remembering I have only 10 placings I need to get a few more out of the way from the start, so the Traditional Trakehner is floating on the edge of being left out as is Gem Twist. On my short list are the Keltic Salineros, Idocus, Stablemate Dressage Horse, Stablemate Cantering Warmblood and the Stablemate Jumping horse. Going to the next category, Breed Standards we have to assume that all of the horses on my short list have breeds that make sense and that have proper coloring and markings. A strange colored warmblood should have some documentation, so the Buckskin Idocus’ and the Dun Trakehners are going to need some documentation, lets assume they don’t have it and pop them out of the way. So now we are down to overall appearence, this is where the judge takes a look and sees who stands out on the table, which model has the least amount of flaws and chooses his or her final horses. Now, we have seven Idocus’ on the table, how can we pick the best? This is where I start looking for crisp markings, rubs, seam splits and rough seams as well as color and shading. Lets two of those Idocus’ stand out to me, one for having wonderful shading and crisp markings and one for being a little semi-glossy, like a real horse would be after being all cleaned up for a show and has wonderful shading and markings. All of the Keltics are nice and have great shading and markings, they also are the nicest in breed standards to me. Rounding out my top 10 would probably be a pick from the stablemates. Choosing the best out of the 10 or so is hard, so I’d look for ones that stand out to me as being exceptional examples of the model, nice shading, markings and ones that just “Look” like a warmblood. Its hard to put into words, but its even harder to do! Choosing 10 horses out of a class of almost 40 is difficult, hopefully this gave you a little insight! If you have a question you’d like to see answered on here let me know, you just might be! Breyer is a company that frequently contributes to charities very generously. Its contributions to the ELCR, or the Equine Land Conservation Resource, are some of the most prolific ones that they do each year. Contributing to thousands of acres that are conserved due to the sale of a Breyer specially designed for the ELCR, you can help conserve America yourself! The ELCR was created in 1997 when a group of concerned horse people recognized the need for an organization to protect land for equestrian use. Its a known fact that thousands of acres each year are lost to building and urban sprawl. The ELCR is the only organization in the nation with the goal to protect equestrian land for the future. Embrace a land conservation focus by educating themselves with regard to key issues and processes related to land conservation, and by making land conservation part of the mission of equestrian organizations. Establish partnerships with individuals and groups outside of their own equestrian constituency, particularly with those groups that represent the conservation community. Golden Oak Stables has a way that you can help! 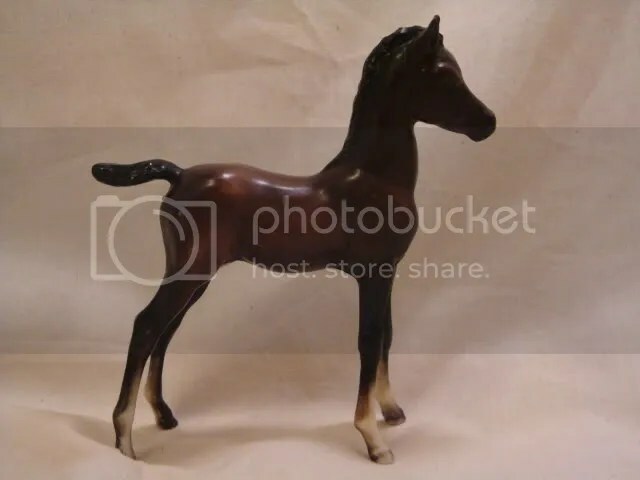 Breyer’s 2010 ELCR model is a beautiful glossy red dun on the Lady Phase mold. The Lady Phase mold has seen a myriad of colors, but this glossy girl really stands out in a sea of bays, pintos and greys! 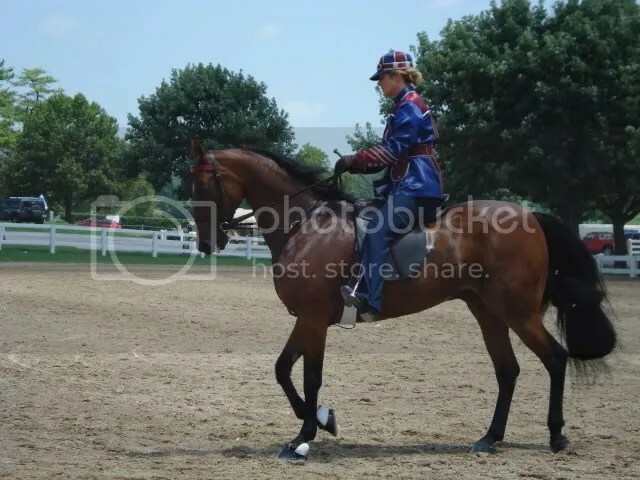 A rare glossy regular run, the 2010 ELCR model is a calm stock horse mare that would be the perfect trail mount for any rider, novice to expert. Limited to production in 2010, this model is bound to be a favorite for years to come! Conserving American land for the future is an important cause that Breyer has brought attention to, why not support it in the best way possible? By bringing home a new Breyer horse today! 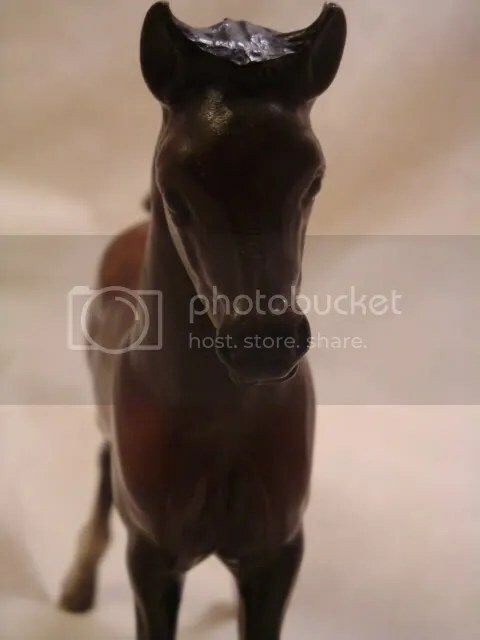 Does your Breyer Horse have a hole in it’s head? Strange question to ask, no? But did you know that all Traditonal, Classic and Paddock Pal scaled horses should have a hole somewhere? Breyer Horses are made of molded plastic, a type of plastic that lends itself well to flexibility when heat is applied. You also may have notice that Breyer Traditionals, Classics and Paddock Pals are all hollow in some parts. The legs, heads, tails and mane will almost always be solid, but the bodies and necks are mostly hollow. Now what does this have to do with the hole? Well take a look at your Breyer horses, particularly in the nostril and mouth corners… You should see a hole. This is easily the most misunderstood characteristic on a Breyer. 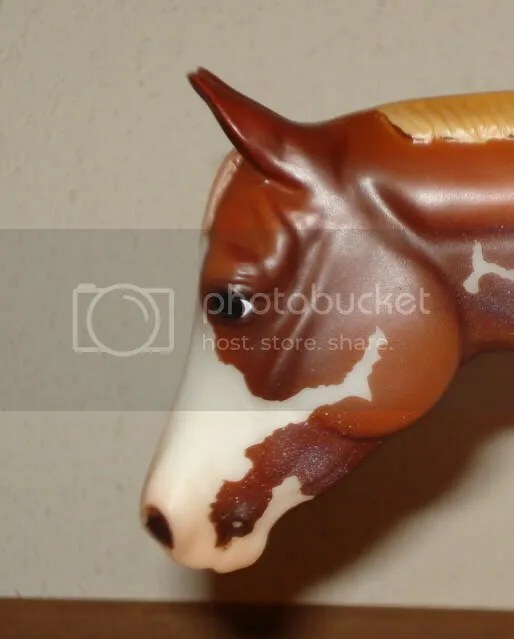 Many people are stunned to find a hole in their brand new Breyer horse, and think it is a defect, but in all reality its there to keep your horse in the condition that it came to you in. You see, a very logical thing happens if you have a horse without a hole. This whole could also be called a vent, and that might put two and two together for you. This hole is there to prevent changes in your model from heat! If a Breyer is exposed to extreme temperatures without a vent it will do the logical thing, bloat up like a balloon. 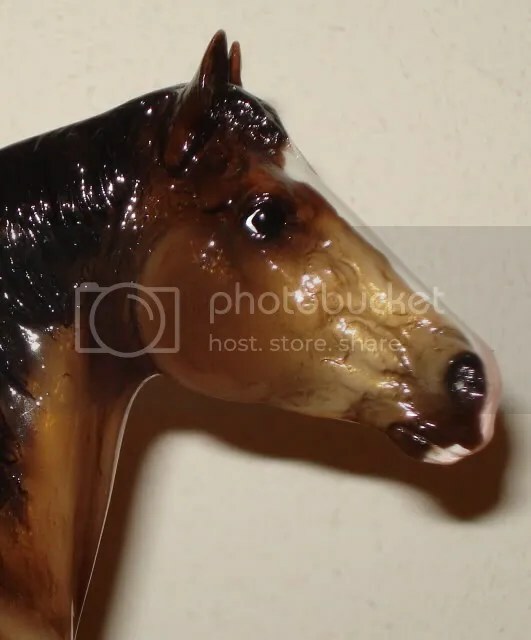 This can happen fairly quickly too, if you’ve ever customized a Breyer you might know how easy it is to apply a little heat and move a leg or tail, well its just as easy to get a horse to bloat up. The worst part is that once bloating has occurred nothing can be done to reverse it. Notice bloated neck and body. This is such an integral part of a Breyer horse that customizers are starting to put their own vent holes in horses that don’t have one. The vast majority of newer models have the vent, so it isn’t anything you should worry about, older Breyers are more likely to escape the factory without the vent. If you happen to have a vintage without a vent, just be sure to keep it in a climate controlled place without extreme temperatures and it should be just fine. While it may be a bit weird looking, a hole in the mouth or nose is completely integral to your Breyer Horse. So next time you get a new horse from Golden Oak Stables check out the little vent hole your horse has, and be happy its there! You are currently browsing the Stable News blog archives for July, 2010.